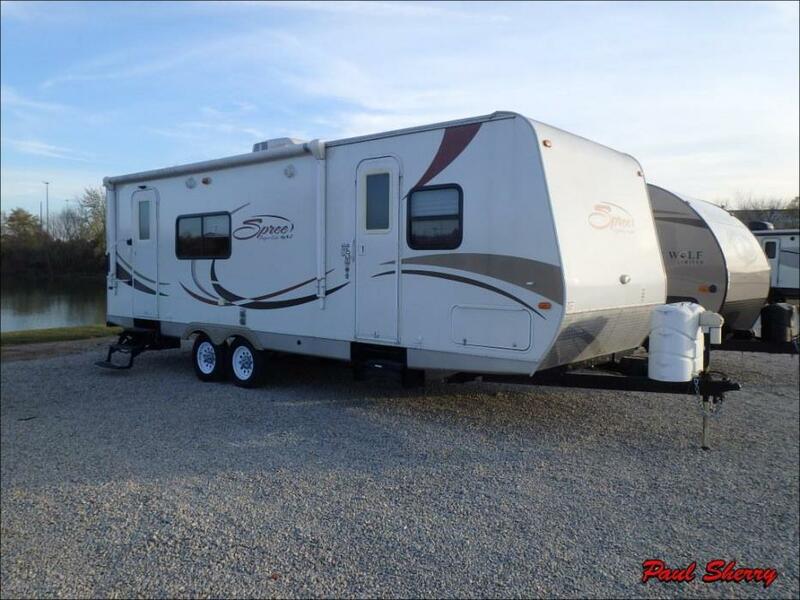 Single Slide Spree Travel Trailer w/Rear Kitchen Including Double Sink, 3 Burner Range, Pantry, Microwave, Refrigerator/Sofa/Wardrobe Slide Out, Booth Dinette w/Overhead & TV Cabinet, Angle Shower, Lav., Med. Cab., Front Queen Bed w/Wardrobes, Pass-Thru Storage, Separate Bedroom Entrance, TV Mount, 15' Awning & Much More. 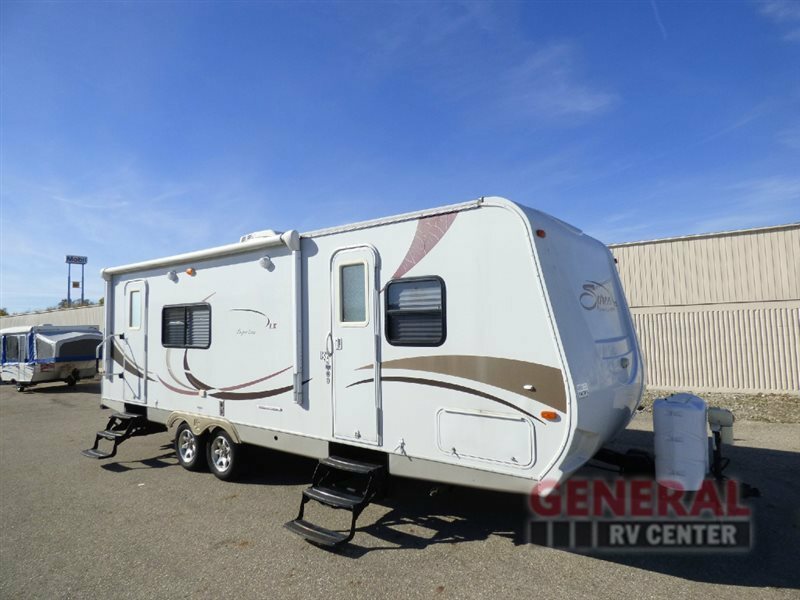 2011 KZ Spree 261RKS, Single Slide Spree Travel Trailer w/Rear Kitchen Including Double Sink, 3 Burner Range, Pantry, Microwave, Refrigerator/Sofa/Wardrobe Slide Out, Booth Dinette w/Overhead & TV Cabinet, Angle Shower, Lav., Med. Cab., Front Queen Bed w/Wardrobes, Pass-Thru Storage, Separate Bedroom Entrance, TV Mount, 15' Awning & Much More. 2011 KZ Spree 261RKS, Call for details. 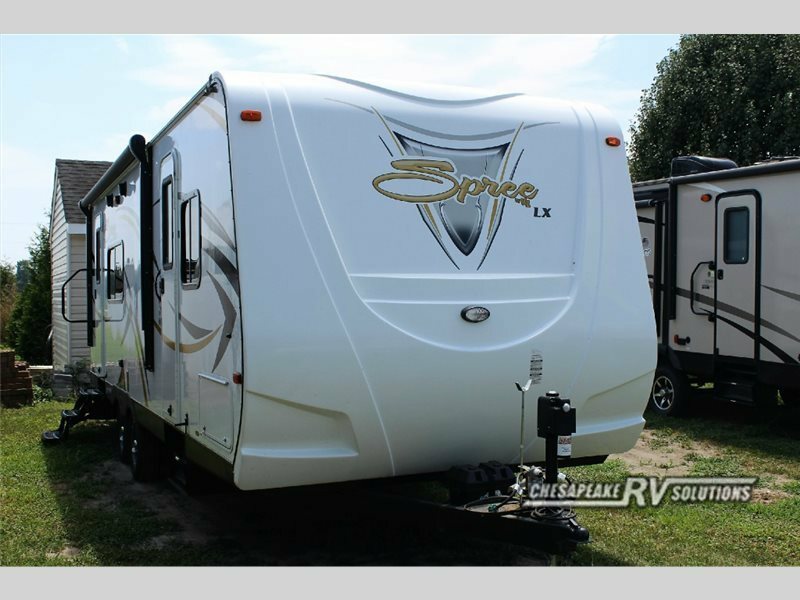 The 2014 KZ Spree LX 261RKS rear kitchen travel trailer has one slide, is spacious, very comfortable, sleeps 6, and is in Excellent Condition! Outside there is a beautiful one piece Fiberglass Front Cap, Aluminum Wheels, Heated and Enclosed Underbelly, 4 Heavy Duty Scissor Jacks, Two 30 Lb LP Tanks, Black Tank Flush System, Ladder, Spare Tire, Outside Shower, Outside Speakers, and a 15' Power Awning. 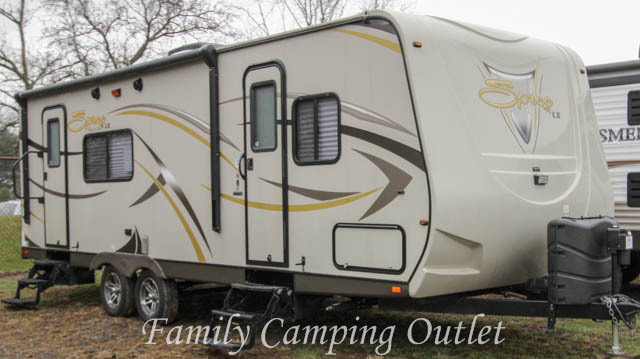 Inside there is Ducted Air and Heat, 3 Burner Stove with Oven, Microwave, 6 CF Refrigerator, Booth Dinette Bed, Jack Knife Sofa Bed, Foot Flush Plastic Toilet, Glass Shower Enclosure, Power Roof Vent, 60" X 75" Queen Bed, AM/FM/CD/DVD, and a 26" TV with a Swing Out Bracket. The UVW is 5,440 Lbs. Campers like this one come and go very quickly! Call today before this opportunity is gone! 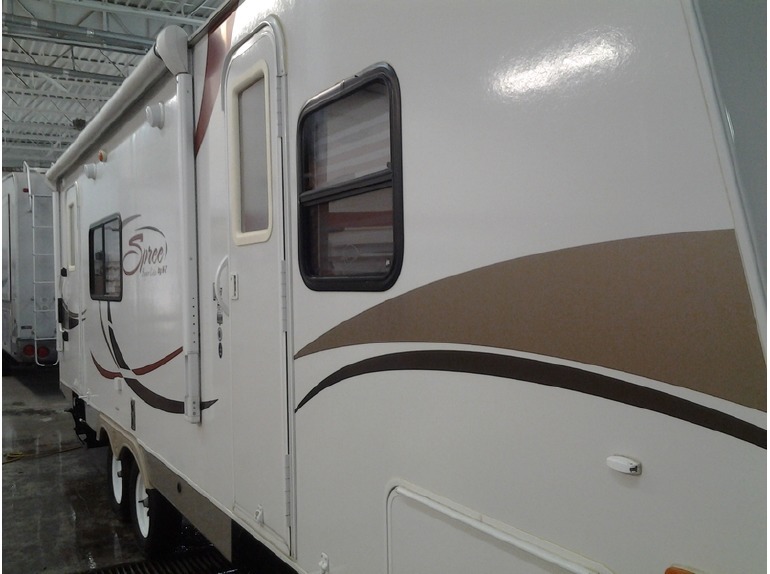 1-866-806-3196.
for sale: Travel Trailer 2011 KZ-Spree 261RKS 28 ft. Rear kitchen with pantry Dinette slide out sofa. Large wardrobe full size shower queen size bed vinyl wood floors $20000.00 AM/FM/CD player exterior shower cable & dish hook-up 15 ft Awning.......Financing Is Available!!! 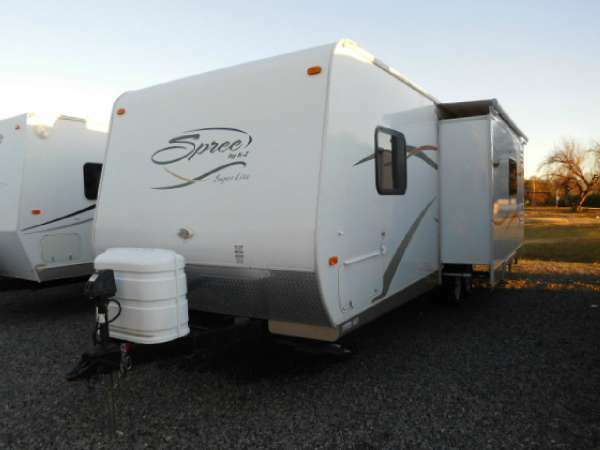 KZ Spree in excellent condition with a couples floor plan! This beautifully kept unit is just like new! 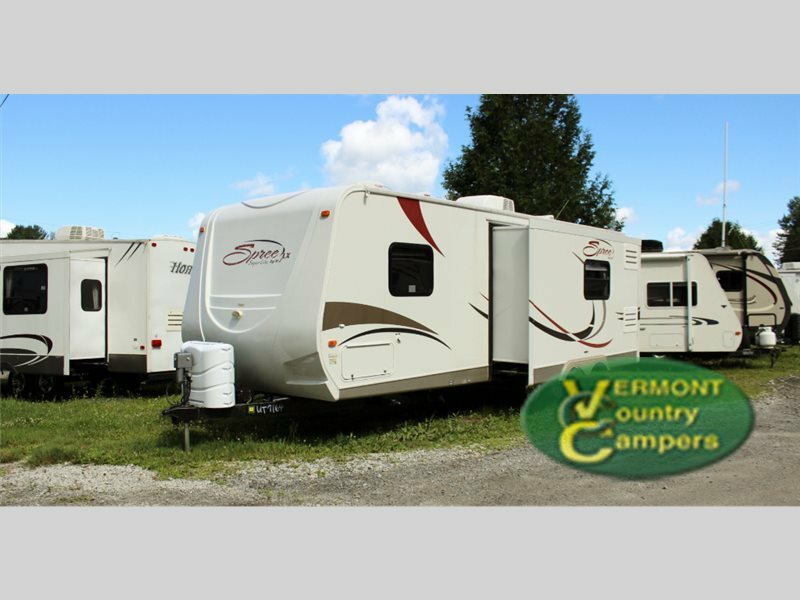 Featuring a rear kitchen, booth dinette, comfortable sofa and plenty of storage! Large shower in the rear bathroom, and beautiful cabinetry throughout! Stop in to take a look!